The gravimetric dispensing system with a portable floor scale for 55Gal (200 L) drums. MIDEXX™ technology allows this platform to dispense with extreme accuracy. 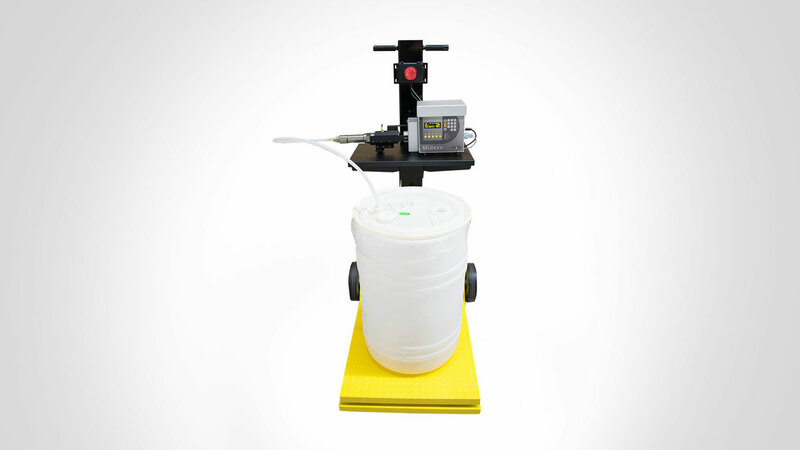 MIDEXX-GR300 platform is a gravimetric dispensing system with a portable floor scale for 55Gal (200 L) drums. MID’s MIDEXX™ technology allows this platform to dispense gravimetrically with extreme accuracy. 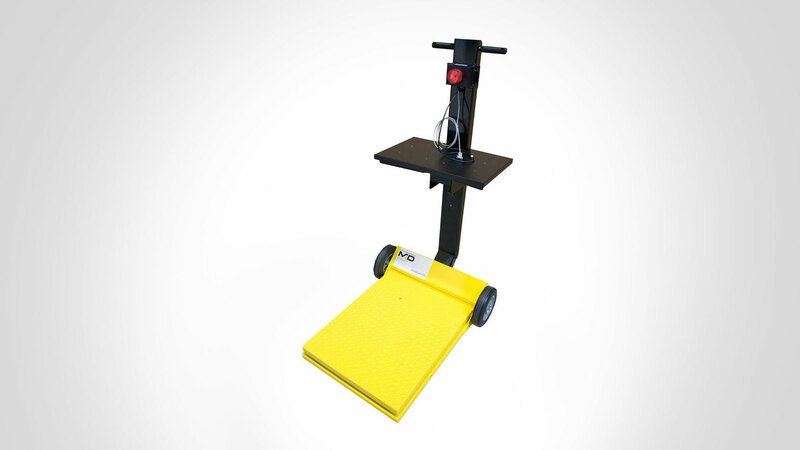 The MID Portable Floor Scales are designed to allow one-person portability on large rubber wheels. Available in painted steel or stainless steel construction, these rugged scales come in 500 lb and 1000lb, capacity. The addition of an optional low-angle ramp allows one person to easily roll on a barrel or wheel on a hand truck. The free-floating ramp pivots back over the deck and rests on the mast or the platform for compact storage or balanced portability. An efficient off-centre arrangement of two high-capacity single-point load cells yields superior accuracy.